If you have ever had the thought: “There must be more to life than this”, you are right! There is. The past two years I have been creating my Magnus Opus; a consolidation of everything I have learnt and experienced in my eventful 59 and a bit years and have called it ‘Genius Within’ because I believe we are not using our brains, not to mention our minds… and have developed some programs based on extensive brain research, to help you ‘change your mind’ to get way better results than you are currently. Most people who achieve things in life also have a burning passion, a mission and purpose in life. 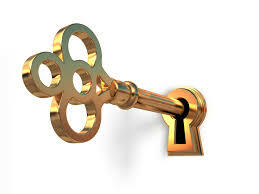 Mine is to open up possibilities in others, to ‘tap into their riches’; the riches you don’t even realize you have. Like many, I didn’t know what I wanted to do when I left school, so life took over. I just followed my nose and responded to whatever life dished up because I didn’t know where I was going, what I wanted, and had no plan for my future. I landed up at Rand Afrikaans University studying ‘Kommunikasiekunde’ (Communication studies), but after a few disappointing months I decided to chuck it. Soon after I returned home my dad organized a job for me at Home Affairs (what was then called The Department of Interior). “You can’t be sitting at home doing nothing”… and so my life unfolded with many a turn and detour. After some fortunate choices and some not so fortunate mistakes I have almost reached retirement age, however, I have no desire to retire so have reinvented myself; this time round to do what makes my heart sing. And now I am in a space where I feel a deep compulsion to share what I have learnt to pave the way for others in as many ways as I am able to. I believe each of us come into this world with a unique gift; a special set of skills, talents and challenges that make us who and what we are, and that, if shared, will benefit mankind and the planet. The one thing I have done consistently and diligently, is to study; what works, what doesn’t work and why. I do not even begin to think I have all the answers. I do not, but I do have many, and these I would like to share with you. 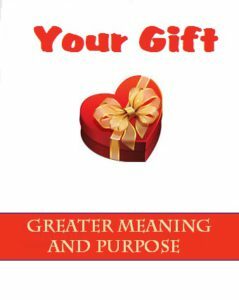 My OFFER: This 30-day course – Uncover your gift for a more meaningful and purposeful life. If you have ever thought there must be more to life than this, or if there is some aspect of your life you are not completely happy with, then join me on a journey to discover more meaning and purpose in life, and uncover your gift to life. This step-by-step, day-by-day process will lead you deeper and deeper into the real you, your passions, your desires, and your vision for yourself to make your dream a reality. Our bodies and minds are magnificent. We use but a fraction of our capacities, not to mention our potential. We also undermine our health in many ways wittingly and unwittingly. What I would like to do is to help as many people as possible explore their full potential and in the process make this world a much better place to be in. In my lifetime I would love to see the beginnings of a universe where people do not operate from a base of fear, but rather from inspiration. I am passionate about getting people to awaken their Genius Within and share their gifts with the rest of the planet. There is Genius Within each individual that is unexplored, and there is a collective Genius Within organizations; the untapped potential that could revolutionize businesses and the way things are done. Whatever you decide to do, do not settle for mediocrity, fight the good fight, and leave a legacy that you can be proud of. NOTE: Get it while you can! Find your gift here.